For most people, smartphones nowadays are becoming far too expensive, with most flagship models costing upwards of £800. For this reason, many people, (myself included) have started to become fans of the mid-range and entry level smartphones which offer very similar functionality to the higher end devices but offers a far lower price tag. To begin with, I feel as if it is important to clarify what I am going to class as a mid-range smartphone, and after some consideration I have decided to include any that I feel are the best smartphones between £200 and £300, and will consider smartphones from a variety of companies. Additionally, the phones covered in this article are SIM ONLY phones, so must be bought outright. Obviously if you are choosing smartphones on a tariff, depending on your monthly budget you will have more choices. 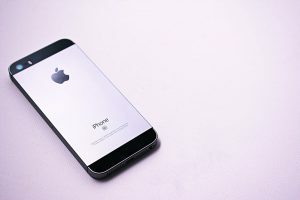 If you feel a need to get a iOS (Apple) smartphone and have the budget mentioned above but are prepared to have a phone that may not receive updates and may not be supported soon this is the phone for you. However, if you are looking for a new phone within the £200 to £300 budget I would recommend buying an android, but if an Apple is necessary either investigate a used/refurbished newer model or purchase one through a contract. Therefore, I do NOT recommend the iPhone 6. Much like the iPhone 6 if you feel a need to get a iOS smartphone and have the budget mentioned above but are prepared to have a phone that may not receive updates and may not be supported soon this is the phone for you. However, if you are looking for a new phone within the £200 to £300 budget I would recommend buying an android, but if an Apple is necessary either investigate a used/refurbished newer model or purchase one through a contract. Therefore, I do NOT recommend the iPhone SE. In conclusion I feel that if you want to buy an Android smart phone, but don’t want to spend the money on a flagship device whilst still getting the modern design I highly recommend this device, it came out this year and has only in the past month been replaced as the leading model in Samsung’s mid-range series so will likely receive support for a long time to come. Therefore, I WOULD recommend the Samsung Galaxy A8. 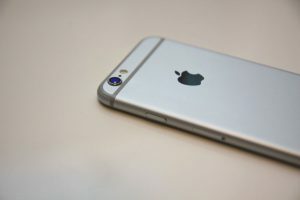 Although there are many smartphones out there within this budget, I believe that if you want to buy a new iPhone outright, the iPhone 6 and SE are your best bets. However, if you do not need an iPhone I recommend buying an Android device. 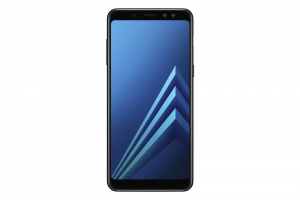 Although there are Android smartphones now with better features or that may be better suited for your needs, my personal favourite at the time of writing this is definitely the Samsung Galaxy A8, it offers a good range of features for great price. Is Your Website Making The Right First Impression? Work SSD smarter, not harder.